Welcome to Kitchens by QBI… the leading design company for your kitchen remodeling project. Serving Carroll, Howard and Baltimore Counties in Maryland, Kitchens by QBI has successfully transformed over 1,000 spaces to the satisfaction and praise of our clients. Ready to update your home with a new kitchen design? 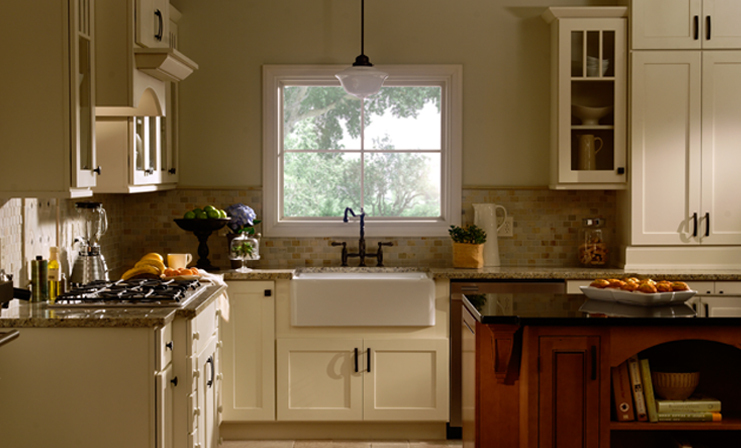 Searching for new kitchen cabinets, granite countertops, or marble counters? Maybe you’d like to replace your kitchen flooring with more upscale, quality kitchen tile. Turn to Kitchens by QBI. We can work with you to design and install the state-of-the-art, sophisticated kitchen of your dreams, delivering the quality you are searching for… for the reasonable price you need. Just take a look at some of our exceptional home renovation designs. Visit our photo gallery to see the quality products and services we deliver in every single one of our kitchen and bath remodeling projects. And yes, we’re not just about kitchen remodeling. Kitchens by QBI is there for you for your complete home renovations. Contact us immediately via email… or call us at 410-848-4974 to set up your appointment with our design specialist. Keep up-to-date with the latest from Kitchens by QBI. Follow us on Facebook for new home renovation events & opportunities. We use Angie's List to assess whether we're doing a good job keeping valued customers like you happy. Please visit AngiesList.com/Review/6599816 in order to grade our quality of work and customer service.